. يقدم Anchors Hotel Port Campbell خدمات لا غبار عليها وكل أشكال اللياقة وحسن الضيافة اللازمة لإسعاد ضيوفه. يمكن للنزلاء الاستمتاع بالميزات التالية: واي فاي مجاني في جميع الغرف, تسجيل وصول/خروج سريع, تخزين الأمتعة, واي فاي في المناطق العامة, صف السيارات أثناء إقامتهم في هذا المكان الرائع. بالإضافة لهذا,تتضمن كل غرف الضيوف مجموعة واسعة من وسائل الراحة . بعض الغرف توفر حتى تلفزيون بشاشة مسطحة, حوض الاسترخاء, مكيف هواء, تدفئة, مكتب لإرضاء أكثر الضيوف تطلباً. يقدم الفندق العديد من الفرص للاستجمام كمثل سبا, تدليك, حديقة. استمتع بخدمات لا يعلى عليها وعنوان ذو اعتبار في Anchors Hotel Port Campbell . My husband and I did the great ocean road in two days, and stayed here in port Campbell overnight. We arrived early evening after a LONG day in the car and it was exactly what we needed. The staff were incredible - very welcoming, knowledgeable and thought of everything (down to having the fireplace lit for us on arrival which was divine). Very private and super simple booking, check in and check out service. Gave perfect recommendations for places to eat and places to visit the next day on our return trip. Could not recommend this highly enough and will definitely stay again if we are in the area. Could not fault one thing and we have travelled extensively. This place was a dream. Secluded, quiet and all around wonderful. Perfect for a romantic getaway. this place is a must to see, we had an awesome stay and i highly recommend it. Fantastic view over Port Campbell and the Bay. Gorgeous clean and slick accommodation catering for everything you need. Had a very enjoyable stay at Anchors Port Campbell. The location was great! The room was clean, the view beautiful, and had a great time interacting with the animals on the farm next to the houses! Our stay at beautiful Anchors Hotel Port Campbell was idyllic. It was truly one of the most relaxing, peaceful and enjoyable experiences of our lives. We were completely taken aback at the magnificent views, the amazing accommodation, the extreme cleanliness, the friendliness and hospitality of Vivienne and the facilities. I could not have wished for anything more. 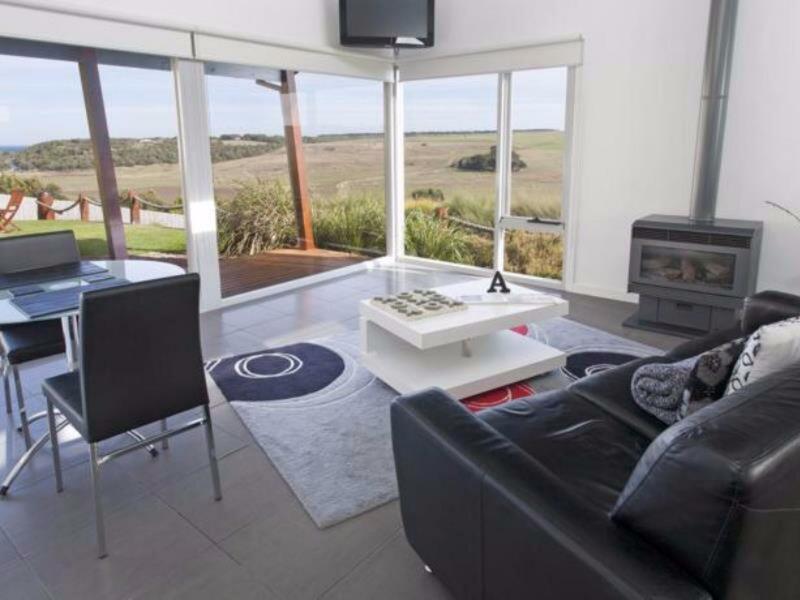 I can highly recommend Anchors Hotel Port Campbell to anyone who wants something special for a fabulous getaway experience. Such a beautiful place to stay in. Tanya is exceptional and really looks after your needs and of the place. She had a wonderful welcome package you can order with local produce and all the information you may need of where to go, where to eat, take away and lots more. We really enjoyed ourselves and look forward to coming back. Private location with great view. Only 3 rooms in private area. And 2 minutes to port cambell which u can find good restaurants. Nice host, thank you vivian for your kind welcome. I will come back again... room #1. Well equipped modern unit. Very helpful manager. Lovely view. Be sure to travel from here to see the arrrival of the Mutton Birds/ Shearwaters at sunset at nearby Lord Arc. Tanya was a very nice host. The room was as seen in photos, spacious and with stunning views. The kitchen is equipped just as a normal "home" kitchen, with all utensils and gadjets. Too bad we only stayed for one night. Highly recommended!! Clean, Private, Friendly, Quiet, Relaxing views. Stayed overnight, Wish we could have stayed a week. Hope to be back. I can't speak highly enough of our stay at Anchors. Tracey was absolutely wonderful, very enthusiastic about customer service and offered some great local recommendations of things to do. 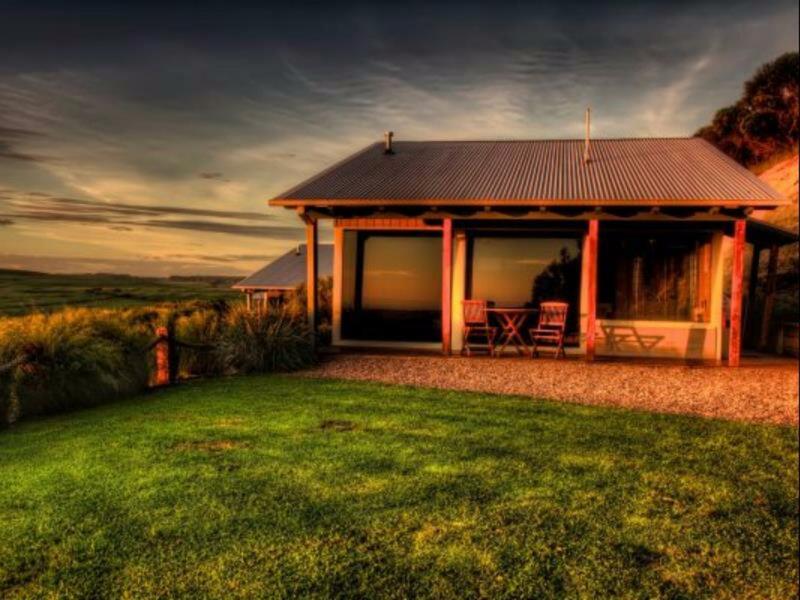 The location is incredible, beautiful ocean views across rolling green pasture and the rooms are spectacular. I really can't offer high enough praise.